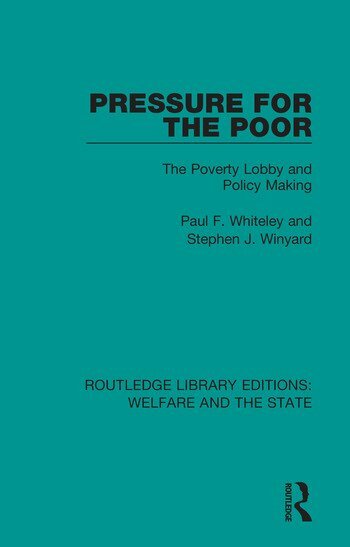 Originally published in 1987 Pressure for the Poor looks at the debate surrounding the role of pressure groups in policy making. It closely relates theories of pressure group behaviour with the findings of research into the poverty lobby in the UK. The analysis is based on interviews with leading activists in more than forty interest groups, which are all concerned with trying to influence social security policies of government in the field of income maintenance. The book examines the origins and maintenance of such a wide range of interest groups in in this field, the strategies they pursue, and their impact on policy outcomes.